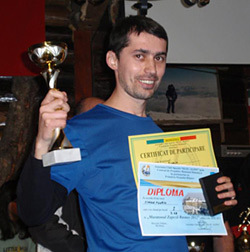 Florin Simion is a friend of Zitec and we admire his passion, commitment and determination. This is why we decided to support him in what he’s doing and maybe to learn something from him. Running is my life style. It was obvious even since my childhood that running was one thing I was really good at. Then it became a passion. Now is more like a mission. I believe running means health, good shape and sharp mind. I am a marathon runner. It’s a pleasure to run but it’s an honor for me to run a marathon. I started running in competitions around the age of 20. I was able run 5km and 10km races easily, without any specific training. I did a good job even when competing in my first half-marathon race. But for my first road marathon I started training more seriously, and it was a good choice to make. 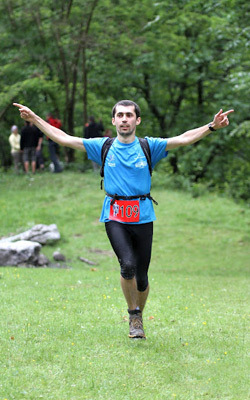 In the last 4 years I ran over 30 marathons and now I feel I am ready for a 100km ultra-marathon. When you are too tired to walk anymore, start running! I like to say that “when you can’t walk anymore, start running!”. The human body has a much bigger potential than you can imagine. Once, in a race, there was a flight of stairs I needed to climb and my muscles were aching, I was barely walking. After a few moments, I realized that if I started to run on that stairs I would use different leg muscles that were not that tired! Running gives everyone the chance to reach their limits and even pass them and most of the times the limits are not physical, but mental. Around the age of 30 my running and my life changed. I entered a fantastic community and received a huge support from both old and new friends. I gained access to a lot of information, started using professional running equipment and I made changes in my everyday nutrition. After all this, running became so easy to perform and so fun to do! I started to feel the pleasure of running in every race and to achieve some good results also. Then I won my first marathon. It’s an unique sensation and emotion I can’t describe in words and something I will fight to feel again. Know your goals. Set your objectives. I find my motivation in running with friends and in creating new personal challenges. I set targets and objectives: participating at 2 marathons in 2 days, finish in the first 10% in every race, winning a marathon. Maybe the best motivation is to deliver a message on every race. On the other hand I found out that people get inspired by what I do and this is a great honor but also a big responsibility. I think that trough my running I can help things change and I can motivate people start doing this and improve their life, their health and their state of mind. I thank my friends from Zitec for helping improve myself and make me realize that I can reach new heights and new limits in my passion. Frumos spus: “When you are too tired to walk anymore, start running!” Este o lectie de viata. Multumesc Diana! Unul dintre motivele pebntru care un maratonist continua sa alerge este sustinerea prietenilor si a celor care il inteleg!